What did Syngenta do to wreck U.S. corn prices? 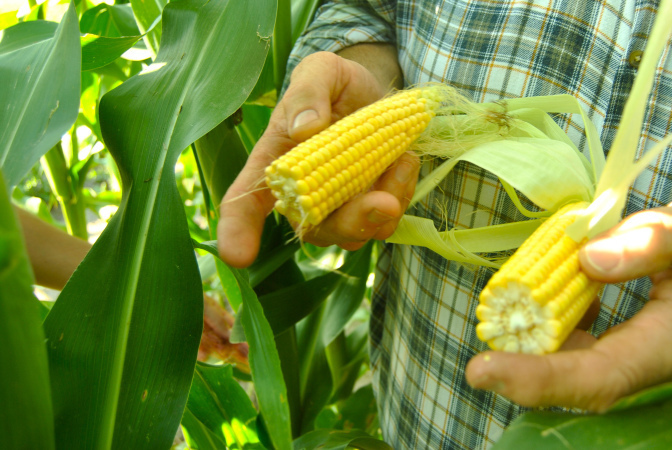 In 2009 Syngenta released a genetically engineered corn trait, MIR162, into the U.S. market. Its first generation of MIR162 corn was known as “Agrisure Viptera” (“Viptera”). Agrisure varieties have been genetically engineered to protect corn against damage from insects such as the corn borer and corn rootworm. Syngenta sued Bunge North America in August 2011 for product disparagement when Bunge began refusing to buy or store Viptera corn because it was not approved for import to China. Syngenta CEO Mike Mack stated on an April 18, 2012 Earnings Call, “On the import approval, it has import approval in all of the major markets. There isn’t outstanding approval for China, which we expect to have quite frankly within the matter of a couple of days. That remains on track for approval to the very best of our ability. Of course, the regulatory authorities are not something that we can handicap definitively, but we know of no issue with that whatsoever…” Syngenta proceeded to market Viptera without approval from China. The Chinese government did not approve the MIR162 corn trait until December 2014. How did Syngenta’s GMO corn cause billions of dollars in damages? Upon discovering Viptera in U.S. shipments, China destroyed multiple shipments of corn from the U.S. At least one media outlet reported that several large shipments were destroyed by the Chinese government. Subsequently, in November 2013, China, one of the world’s largest corn importers, began rejecting all U.S. corn. By the end of 2013, over 545,000 tons of U.S. corn had been rejected by China. By April 2014, the rejected corn tonnage had reached 1,450,000. China was not the only country that rejected this GMO corn. 3.3 million metric tons of U.S. corn were rejected globally as of March 2014. These export market disruptions cost U.S. farmers billions of dollars. The term GMO refers to genetically modified items that have had their genetic code altered for a specific purpose, such as crops that have been designed to grow bigger or resist certain insects. This genetic engineering creates combinations of plant, animal, bacteria and viral genes that do not occur naturally. Why did China stop accepting corn exports from the U.S.? Although the MIR 162 corn seed, known as Agrisupre Viptera, developed by Syngenta was sold to farmers starting in 2010, China did not approve crops grown from Viptera for import until 2014. In 2013 Chinese inspectors found trace amounts of Viptera in a U.S. corn shipment rejected that shipment. The U.S. corn collection system makes it impossible to completely segregate unapproved GMO corn from approved corn, so China proceeded to refuse all shipments of corn from the U.S. to prevent importing the undesired GMO crop. Why is Syngenta being sued? Syngenta sold their GMO corn seed, known as Agrisure Viptera, to farmers before acquiring approval for its sale in China, downplaying the impact this lack of approval would have on the market. When China rejected over 1 million tons of U.S. corn, the price of corn dropped dramatically, and many farmers lost income as a direct result. Lawsuits are currently being filed to hold Syngenta accountable for the financial damages caused to farmers, exporters, and other workers in the corn industry by the negligent marketing of their seeds. Who is eligible to seek compensation from Syngenta? Farmers, shippers, exporters, and other workers in the corn industry have had their income impacted by the dramatic drop in corn prices. Still others have directly lost income based on China’s rejection of U.S. corn. Manufacturers of other corn products, such as corn syrup, which have also been rejected from China, may be eligible as well. All parties suffering financial losses may be entitled to compensation. Where are lawsuits being filed? In addition, to Missouri, lawsuits have already been filed in federal courts across several states, including: Alabama, Arkansas, Georgia, Kansas, Kentucky, Illinois, Indiana, Iowa, Louisiana, Michigan, Minnesota, Mississippi, Nebraska, New Jersey, New York, North Dakota, Ohio, Pennsylvania, South Dakota and Texas. Due to Syngenta’s negligence, thousands of lawsuits have also been filed in state courts around the country in an effort to hold the company accountable. The United States Judicial Panel on Multidistrict Litigation consolidated all federal Syngenta GMO corn lawsuits into a centralized multidistrict litigation before the Honorable John W. Lungstrum in the District of Kansas. Thousands more cases have been filed in state court in Minnesota, where Syngenta is headquartered in the U.S.
We work on a contingency fee basis which means we would only be paid from a recovery of your damages. If there is no recovery, there is no fee. 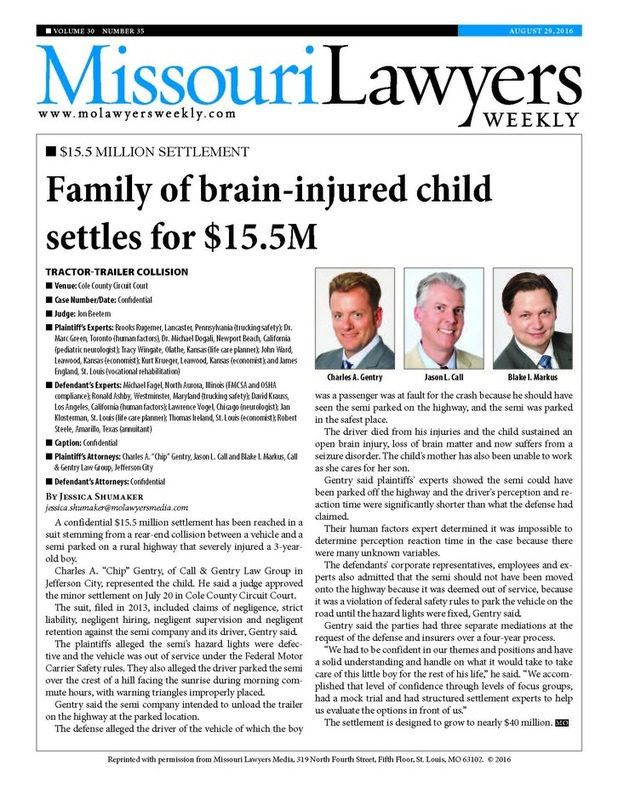 The contract for attorneys' fees is 40% of the recovery. How much do I have to be involved? If you or someone you know was negatively impacted by Syngenta’s GMO corn, contact an attorney at Call & Gentry Law Group today for a free consultation. If you have questions about a Syngenta corn lawsuit, our attorneys can help you understand your options. Call our office any time at 573-644-9187, or CONTACT US ONLINE. Fill out our online form and someone from our office will contact you as soon as possible to visit with you about your claim.